Probably be made outta deer twats…because Arby’s. Must be raising deer for livestock… Don’t know how else you could get around regulations. 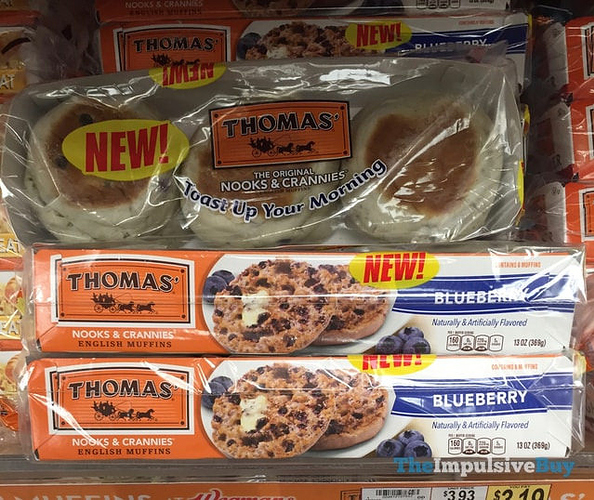 trying for the first time right now Thomas’ Blueberry English Muffins. 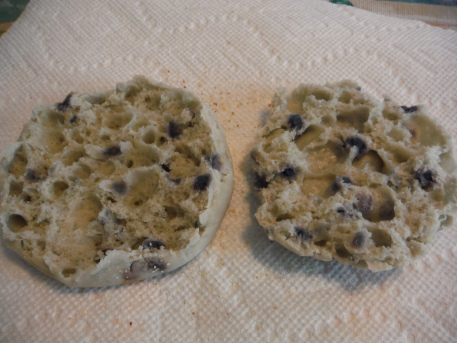 they look weird, but taste pretty good. just toasted with butter. I love the original and that’s always what I buy. I got a coupon for a free box so I opted to try something new. they’re not very sweet at all. toasted with butter they’re good. Gave it to a neighbor. Was this a romantic scenario? No. As I recall I was having a particularly strong bought of depression and wasn’t eating much of anything at the time. did you get the lil chief smoker? i think i might get one soon…especially considering i’d like to make jerky out of any elk we might kill. I’m looking at an electric smoker with those wood pucks. Hope to get one before Christmas. They taste better than they look and they smell good, too. I like the blueberry ones better than the cranberry version. i just made cinnamon rolls in the work toaster oven. At my old job one of the guys would cook squid in the microwave. guy here used to microwave frozen Brussels sprouts all the time! It was terrible. Almost as bad as when the owners kid put popcorn in the microwave and set it for 4 HOURS. I did get him a smoker - but not the little chief. I’ll have to get the brand - I can’t remeber off the top of my head. Its an electric ones and all the reviews talked about how it was a good entry level one.